Issue 1/2019 – AI and Pharma: What are the legal Challenges? As in previous issues of EPLR, Issue 1/2019 tracks the latest legal and regulatory developments in the pharmaceutical sector. When it comes to developments in the industry, few offer as many opportunities as AI. With this in mind, the lead article of the first issue of the year tackles the legal challenges brought about these technological advances and offers practical advice on how companies should approach them. With contributions on Brexit, new developments in Denmark and in the Ukraine, our Reports section is also required reading for those who want to keep up to date on crucial legislative and policy developments. The issue concludes with a fascinating case note on the Courts interpretation of Articles 11(2) and 21(3) of Directive 2001/83/EC concerning carve outs. View the whole table of content here. Become an Author for EPLR and view our Call for Papers. The European Pharmaceutical Law Review (EPLR) identifies and analyses important legal and regulatory developments on the national, EU and international level. It is primarily concerned with pharmaceutical law, medicines law and issues related to the work of the European Medicines Agency (EMA). Furthermore, it provides an overview of and critically examines judgments and directives that shape the interpretation and application of EU pharmaceutical law and policy, including those by the European Medicines Agency (EMA), European Courts, international courts and tribunals such as the WTO’s Dispute Settlement Body, and higher national courts. The quarterly journal addresses everyone who is concerned with pharmaceutical law and policy issues such as academics (in the field of medicines law, regulatory science, and other relevant research fields), legal practitioners in national and international law firms, regulators such government officials working in EU and national public administration, judges and legal experts in domestic, European and international courts, consultancies, business people in the EU and beyond as well as stakeholder organisations representing professionals, patients, and civil society. With contributions on the orphan drug regulation, the recent ruling on genome editing and on transparency rules, the final issue of the European Pharmaceutical Law Review in 2018 again reflects the current ‘hot topics’ and challenges in pharmaceutical law and policy. In our lead article Eveline Van Keymeulen, Laëtitia Bénard and Jaqueline Bore critically examine the EU’s regime incentivising research and development of medicines for patients with rare diseases. Reporting on the Italian Sunshine Act Proposal, Marco de Morpurgo criticizes that the low threshold of the proposed reporting obligation and argues that it might actually lead to less transparency. Writing on developments in Greece, Vicky Kriketou examines the changes in the Greek drug distribution network, where the pharmaceutical industry is making an effort to decrease the comparatively high fragmentation of the wholesale structure. And in their report from France, Alexandre Regniault and Aurélia Maurer present a ‘Practical guide on French health product liability law’, discussing the action mechanisms available to an individual liability claimant as well as class actions. The issue is concluded with two case notes on the recent judgments in regard to gene editing and excessive pricing respectively. View the whole table of content here. Policy makers and courts tend to slow down their output during the summer, and this is no different for those working in the pharmaceutical community. With EMA focused on moving their headquarters to Amsterdam in the wake of Brexit, this trend is particularly pronounced. However, this does not mean that there were no legal and regulatory developments which merit our attention. Indeed, issue 3/2018 of EPLR features two articles on core regulatory challenges in the pharmaceuticals field: allegations of excessive pharmaceutical pricing and the contentious topic of off label use. In addition, we have also included reports from Germany and the United Kingdom and a topical report on biosimilar authorisation. The issue concludes with a timely Case Note by Minssen and Bostyn who criticise the Court of Justice for failing to clearly determine ‘when a product is protected by a basic patent’. View all articles of EPLR 3/2018. The new issue 2/18 of our journal European Pharmaceutical Law Review (EPLR) identifies and analyses important legal and regulatory developments on the national, EU and international level. 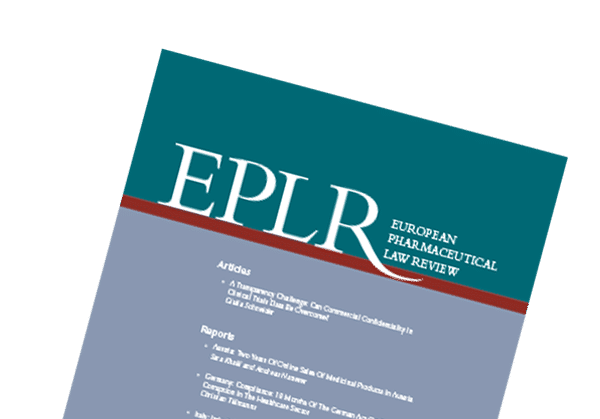 Reflecting EPLR’s position as a forum for discussion in the field of pharmaceutical law, this issue includes contributions from a number of critical stakeholders on innovation and transparency as well as reports on developments in Denmark and the Netherlands. It also includes a case annotation on the recent Hoffman – La Roche v AGCM case and analysis of a number of cases involving EMA’s Access to Documents Policy. As always, the issue concludes with an update on legislative and policy developments in the pharma sector. View all articles of EPLR 2/2018. The European Pharmaceutical Law Review (EPLR) identifies and analyses important legal and regulatory developments on the national, EU and international level. Reflecting the comprehensive nature of the EPLR, Issue 1/2018 features an article on transparency and clinical trials data, as well as reports on online sales regulations in Austria, the reform of clinical trials rules in Italy and the advertising of pharmaceuticals in Sweden. In addition, this issue also includes a case annotation on the Snitem and Philips France case, updates on legislative and policy developments and a report from the recent Pharma Law Convention in Berlin. View all articles of EPLR 1/2018. Advertise your job offer: simple text ad (black white) in journal content part. 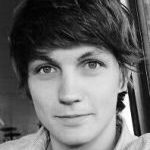 Spontaneous contributions are welcome and should be sent to the Executive Editor Jakob McKernan at mckernan@lexxion.eu.